I know, enough already about Weird Al Yankovic’s “Word Crimes,” but bear with me for one more comment on the music video that’s given language prescriptivism its biggest shot in the arm since the glory days of Eats, Shoots & Leaves. 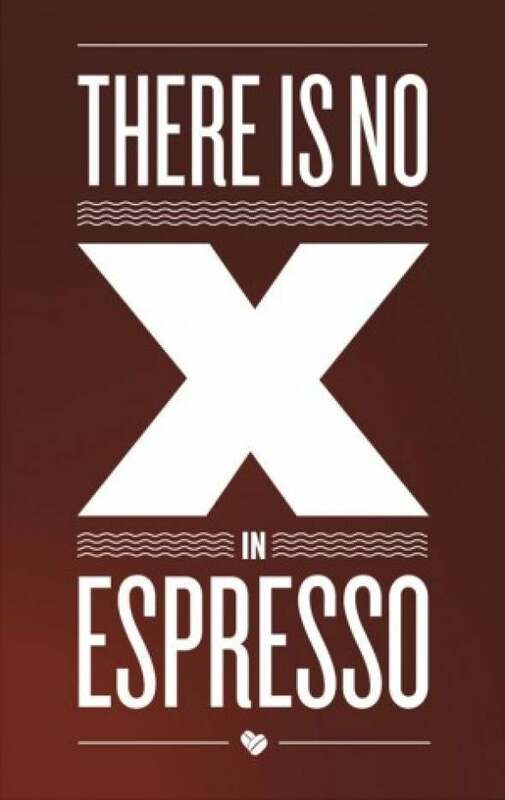 Perhaps the weirdest of the 17 admonitions Weird Al crams into the song comes at about the halfway point, when he croons, “There’s no x in espresso,” over the image above. 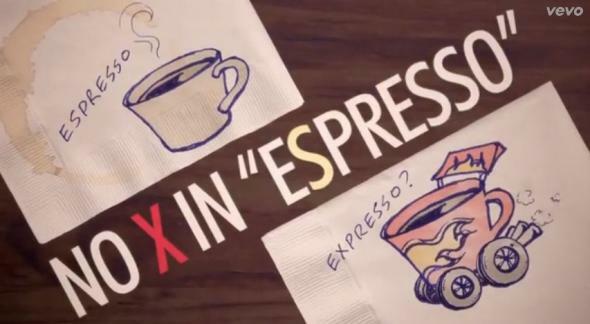 I would add that x-after-opening-vowel has proved to be popular in such pronunciations as “aks” (instead of “ask”) and “ekcetera,” not to mention that words beginning with “exp” are eight times more common in English than words beginning with “esp,” so there may be something about expresso that just wants to be said. But as I say the consensus is “apparent,” and there is a robust counternarrative. Contrarians have pointed out that expresso is the norm in France, Portugal, and Spain. Admittedly the art of making the drink was invented and perfected in Italy, so it’s understandable that the terms used in that country should get favored-nation status. But Italian corrupted the Latin root, which has … wait for it … an x.
I don’t know about you but for me, all this has worked up a powerful thirst for a macchiato. Ciao, baby.